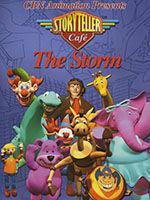 When the lights are out and the door is locked, the toys come alive at the Storyteller Cafe! 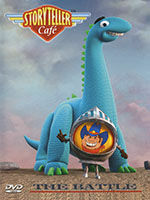 Join Pete the WWII pilot, Tex the lasso-wielding yo-yo, Gallop the happy-go-lucky horse, Tina the tutu-wearing elephant, and a myriad of other fun characters in this award-winning, 3-D computer animated series geared for ages 4-12. In each episode, children will see the Bible brought to life in a new, engaging way as the toys re-enact treasured stories from the Bible. 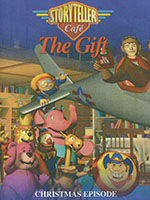 Children will not only be delighted by the friends at the Cafe, but also enriched by their message. So meet us at the Storyteller Cafe for miraculous stories about God's love for us. "Beyond the Manger" is a thrilling show about Jesus' birth, life and His victory on the cross. It teaches us that there is so much more to Easter than just eggs and bunnies and explains how they become a part of the celebration. Jesus died and rose again for all of us! Join Pete and his Storyteller Cafe friends as they discover the real meaning of Easter! In "The Battle," when a box marked "Dangerous" shows up on the counter at the Cafe, the curious toys quickly regret opening the box, as the "Danger" part of "Dangerous" turns out to be an angry, giant Gorilla! The Bible story of David and Goliath unfolds, demonstrating that even the most unlikely heroes can be mighty conquerors with God's help. Join Tex as he trades in his lasso for a slingshot to go up against a giant! "The Secret Plan" is a thrilling show about the children of Israel's journey to the Promised Land and the fall of Jericho. It reminds us of the importance of trusting in God and not in our own strength. This episode, "The Storm," is a delightful show about the miraculous construction of the Ark and the promise that God made to all of us in the form of a rainbow. 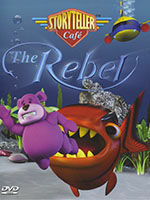 In "The Rebel," a daring rescue goes underway after one of the toys falls into the Cafe fish tank! After all the toys are safe and dry, they all settle in for the Bible story of Jonah and the whale. Children will learn how disobedience to God can have very serious consequences. Join Pete and the gang as they dive into Biblical truths in a most unusual manner! 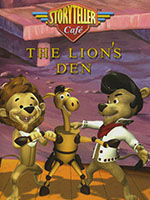 "The Lions Den" is a thrilling show about Daniel and his scary encounter with lions. It teaches us to trust in God no matter what, even when things get tough and the right decision is not the popular decision. 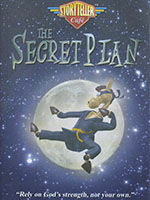 Join Pete and the gang as they discover biblical truths in a most unusual manner! This episode, "The Gift" is a wonderful reminder to celebrate the life of Christ all year long, not just at Christmas. This award-winning, High Definition, animated series is different from any other Gospel presentation for kids. Each story is tailored to tell more than the obvious Bible story. Included are interesting details about what places really looked like and how people lived, as seen through the eyes of some fascinating characters. Featured are "Pete," the WWII pilot and his trusty plane, "Gus" and his sidekicks "Gallop," and the laugh snort' n horse: "Tex,", the lasso-wielding yo-yo; "Tina," the tut-wearing elephant; and "Chip," the computer expert martian, just to name a few! 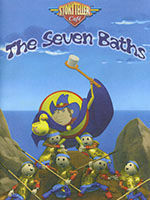 "The Seven Baths" is an exciting show about the importance and power of following God's direction. Naaman, though a great warrior, found himself fighting for his life as he searched for a cure for his illness. He discovered that by listening to God amazing things happen, including miracles. Featured are "Pete," the WWII pilot and his trusty plane, "Gus" and his sidekicks "Gallop," the laugh snort'n horse; "Tex," the lasso-wielding yo-yo; "Tina," the tutu-wearing elephant; and "Chip," the computer expert martian, just to name a few! 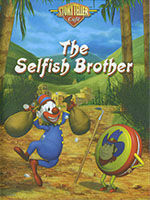 "The Selfish Brother" is an exciting show about The Prodigal Son.